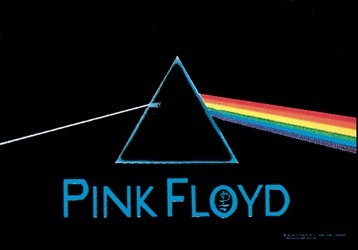 The Dark Side of the Moon will last forever on this fabric textile Pink Floyd poster. These high quality posters are screen printed on 30" x40" pieces of sheer fabric that are soft-as-silk and can be hung on a wall or from a ceiling or as a flag on a pole. They won't rip like paper posters. Lasts for years! Officially licensed Pink Floyd merchandise.